Fiat S.p.A. and unions have suspended talks over a plan to relaunch the group's main carmaking plant in Italy as a joint venture with Chrysler Group. Fiat and Chrysler plan to invest more than 1 billion euros ($1.32 billion) in the Mirafiori factory in Turin to build top-range Alfa Romeo and Jeep SUVs for European and North American sales in exchange for more labor flexibility at the plant. 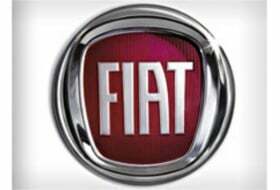 "The conditions are not there to reach an agreement on the relaunch of Mirafiori," a Fiat spokesman said on Friday. Union representatives said unions were split, with some ready to sign the deal, some asking for more time and the left-leaning Fiom union openly against it. "We have reached a stalemate," said Bruno Vitali, who attended talks for the Fim Cisl union. "The key issue is the national contract, which Fiat does not intend to implement. They want to use an ad hoc contract." Italan Welfare Minister Maurizio Sacconi asked Fiat and unions to restart talks. "I make appeal to the responsibility of all parties involved in the negotiations so that intelligence and experience can help the common good prevail," Sacconi said in a statement. He was echoed by politicians. "The stakes are too high to stop at the first hurdle," said Cesare Damiano, a lawmaker from the center-left opposition Democratic Party. Fiat said last week it and Chrysler planned to build Alfa Romeo and Jeep models for global distribution as part of a new joint-venture company that will take control of the Mirafiori plant. The plant would produce the mid-sized Giulia sedan and station wagon, which will replace Alfa's 159 range, as well as medium SUVs for the Alfa and Jeep brands. The Alfa SUV will be aimed at the Audi Q5, BMW X3 and Mercedes-Benz GLK. The Jeep model will replace the Compass/Patriot model. Fiat acquired a 20 percent stake in Chrysler last year. Fiat's and Chrysler's shareholding and investment in the Mirafiori project will mirror the output each expects to source from the plant, a Fiat spokesman said last week. The factory produces the Fiat Idea, Multipla, and Punto Classic, the Lancia Musa and the Alfa MiTo. Next month Fiat will end production of the 1998-launched Multipla medium minivan and Punto Classic subcompact, which debuted in 1999. The MiTo subcompact, introduced in summer 2008, is included in Fiat's plans until 2014, but it is unclear whether a future model will be build at Mirafiori after the plant is retooled.